The nominations for this year's Ulster Footballer ‏of the Year have been announced and it looks like being another hotly contested category. 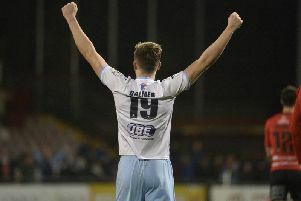 Jim Ervin and Adam Lecky of Ballymena United, Crusaders' duo David Cushley and Jordan Forsythe, and Jimmy Callacher and Jamie Mulgrew from Linfield are the six nominees. All the players have had a terrific season with their respective clubs. Fans will be given the chance to have their say on who walks away with the trophy. You can cast your vote for your favourite player via the Cool FM from Thursday.